Remember #teamcongo? Four families (and eventually five) who all lived in the same building in Albertville, learning French together. We became a pretty close bunch. The four families who started in August were all in Switzerland last week on our spiritual retreat. One family, also with MAF, arrived at their post in Eastern DRC yesterday! 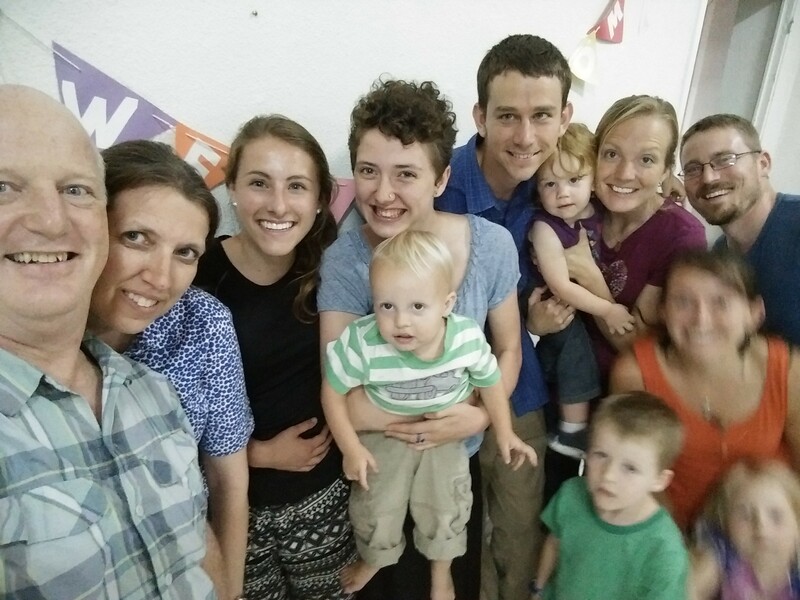 We flew to Kinshasa with the Rices and the Potters, doctor families who will serve in Vanga. Tonight was our last meal together. MAF will fly them to Vanga Monday morning to begin their work there. Pray for them. And pray for us – we all became like family over this past year and we will miss them immensely. I am very happy we got to see them one last time. Here is our last selfie together…for a while at least. They’re not THAT far away. Yes, I’m blurry…I was trying to pick up Millie…oh well.